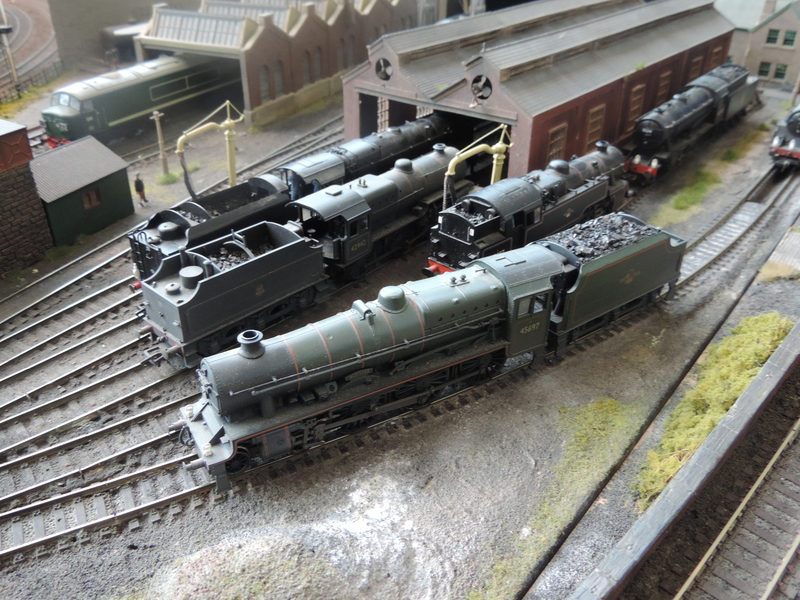 This coming Saturday (29th) is the Portsmouth Model Railway Exhibition hosted by the South Hants Model Railway Club, but before I can look at layouts from that exhibition I need to finish my look at the Fareham Railex show. The final last 2 layouts I really enjoyed watching and the job of taking photographs took a back step so apologies in advance. Kingsfield is a fictitious town nestling in Oxfordshire, 15 miles west of Oxford. The population of the town is approximately the same as Oxford and has grown in a similar manner over the years. The local commerce comprises of metal fabricators, breweries, timber merchants and other small to medium size industries. Some of these were served in earlier years by the canal which runs through the town to link with both Gloucester docks and the river Thames. There is a strong farming community surrounding the area, and also a nearby race course. The Great Western Railway served the town, with a terminus station built in the mid to late 1800’s. This connected Kingsfield with Swindon, London Paddington and the rest of the Great Western network. A local branch line also served the nearby village of Fairford. It was not long before the Midland Railway who were extending their routes south, intersected the Great Western at Kingsfield with their own main line. This provided a direct link between Birmingham and Bournemouth, causing the station to be re-developed with through platforms and a junction being added. As years passed the traffic steadily increased, with both through and terminating services of both passenger and freight to serve an ever growing community. 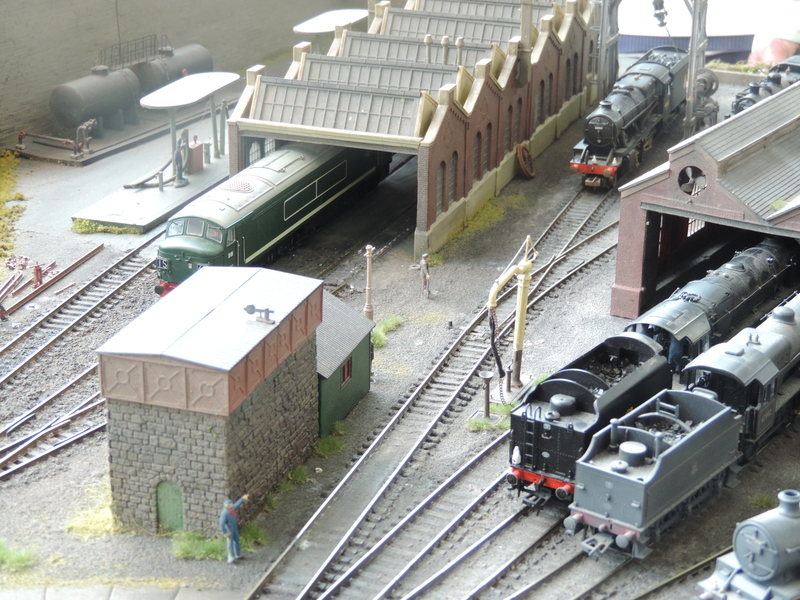 With the increase in traffic, the yard and engine shed grew with additional building being added to the shed to accommodated the ever increasing “diesel locomotive”. The period modelled is from 1958 to 1965, so steam and green diesels prevail. 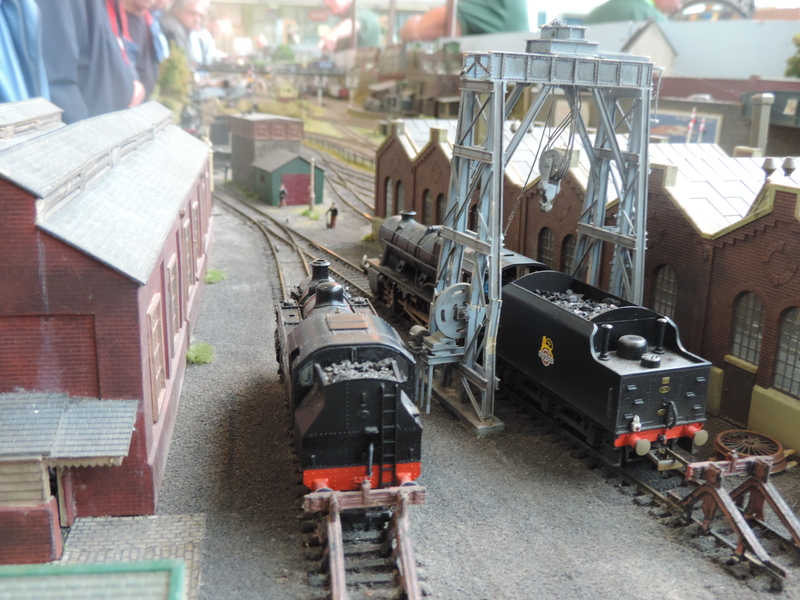 The model railway has been built using items that can be purchased readily from any model railway outlet. The track is Peco code 100, ballasted and painted with track colour, points are operated by ‘SEEP’ point motors, with power to the track fed through Gaugemaster hand held controllers. All the buildings are built from modified kits to suit the particular era, such as Kibri or Cornerstone. Rolling stock is commercially available and detailed in some way. Signals are all hand made from various parts to fit with a signalling diagram produced from the location. 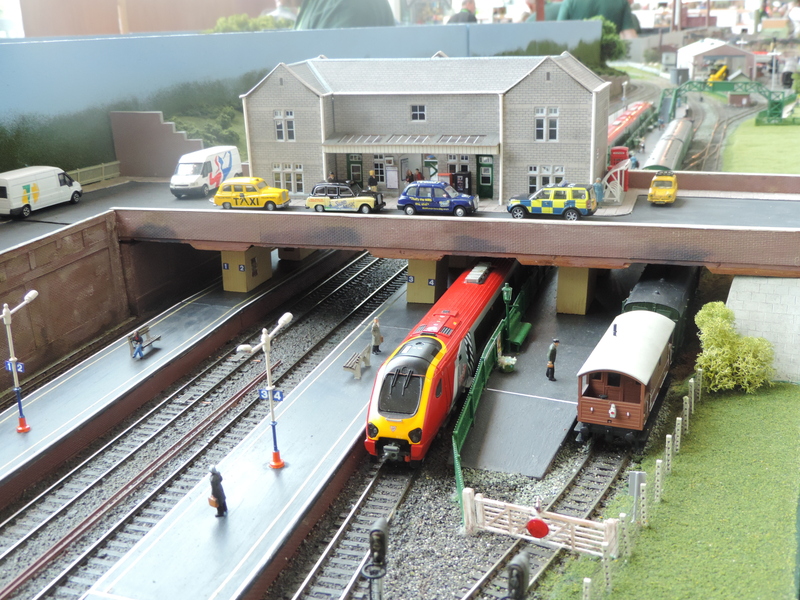 The layout has appeared in the Railway Modeller magazine where it was the railway of the month. I really enjoyed watching the trains go around on this layout as it was one of the only layouts that actually was running more than one train at a time and they were all prototypical, so I saw a GWR Hall class thunder past with a load of 10 coaches on it. 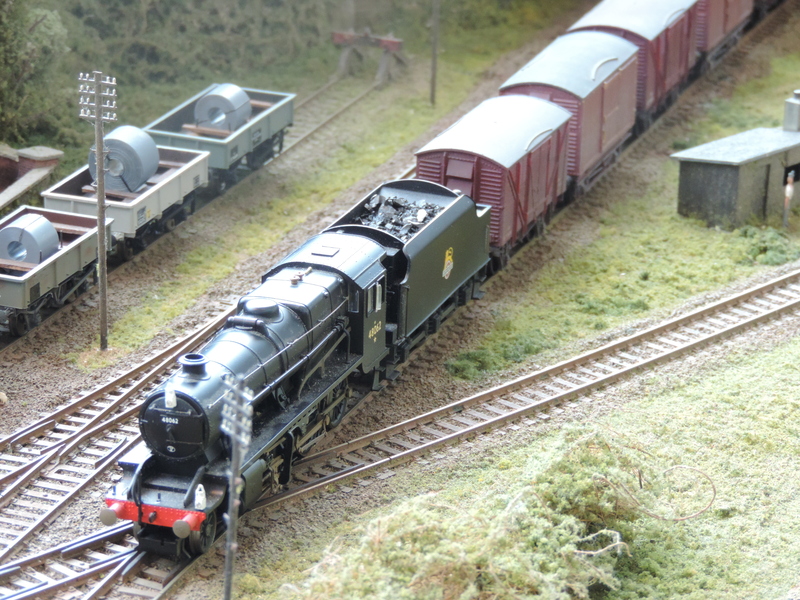 The layout is currently owned by Fareham MRC but originally came from the Fawley Power Station which was demolished in January 2013, as they wanted the layout to be taken on by another local club it ended with the Fareham MRC. The layout has been renamed ‘Forleigh’ as this sounds the same as ‘Fawley’ but is obviously not spelt the same! The layout is a round and round double track mainline, with a main station with additional passing platform loops on both lines. It also has a branch line from the bay platform at the main station, which climbs to a single platform station on the upper layout. 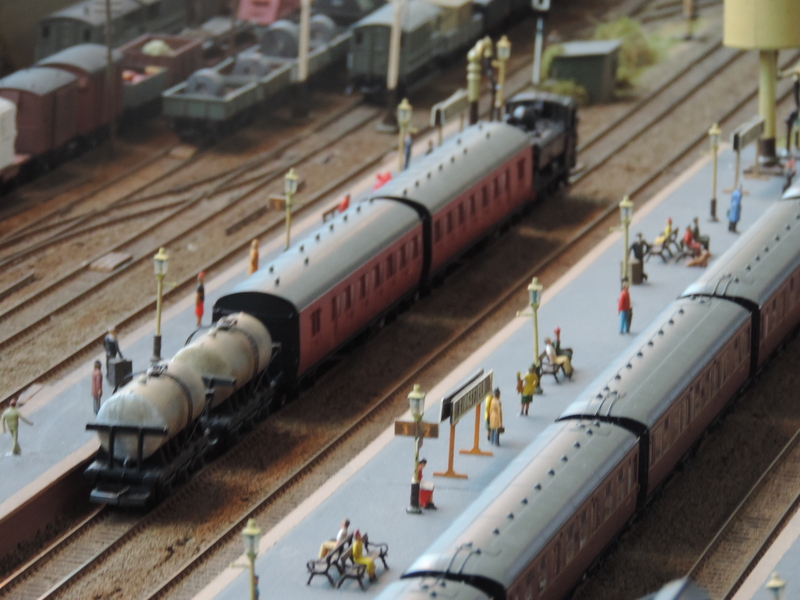 There is a 5 line fiddle yard for both mainlines and a small fiddle yard for the branch line which gives the layout lots of operational flexibility during shows. The layout will be modern image with a preserved branch line, so effectively anything could be on the layout at exhibitions. This will include mainline preserved steam and diesel specials. 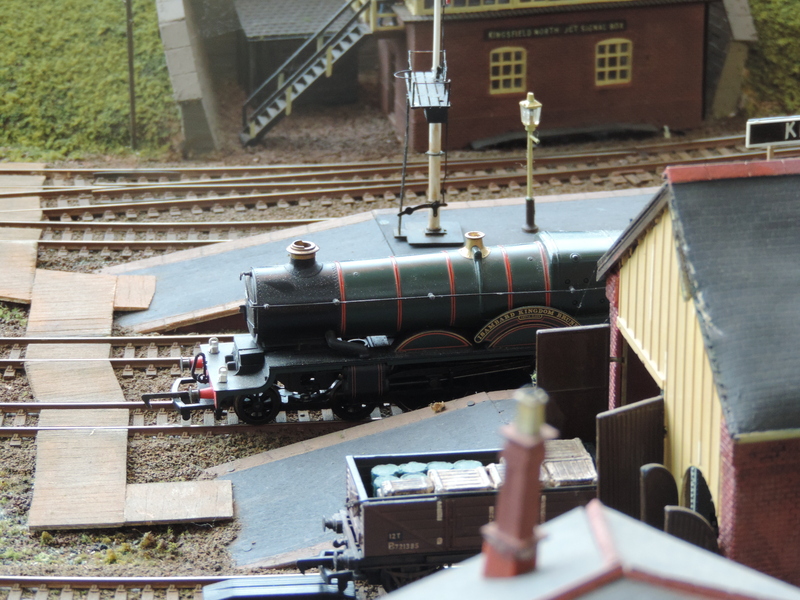 I really enjoyed some of the details in this model especially around the heritage lines shed which reminded me of Eastleigh and Ropley. 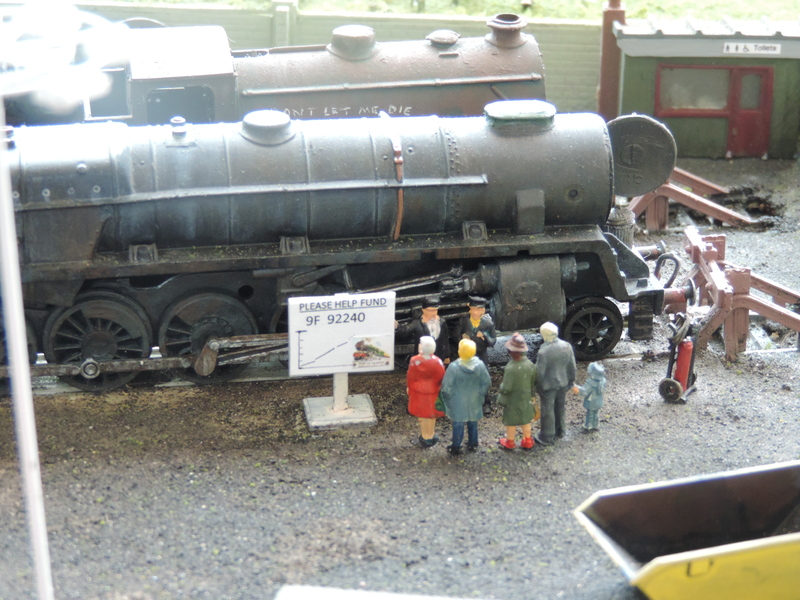 It seems there is a lot of support to help steam 9F 92240 which is also pleasing to see even if it is just in model form. Finally no show that features the Fareham MRC is complete without an appearance from the always popular Virgin liveried Mallard. 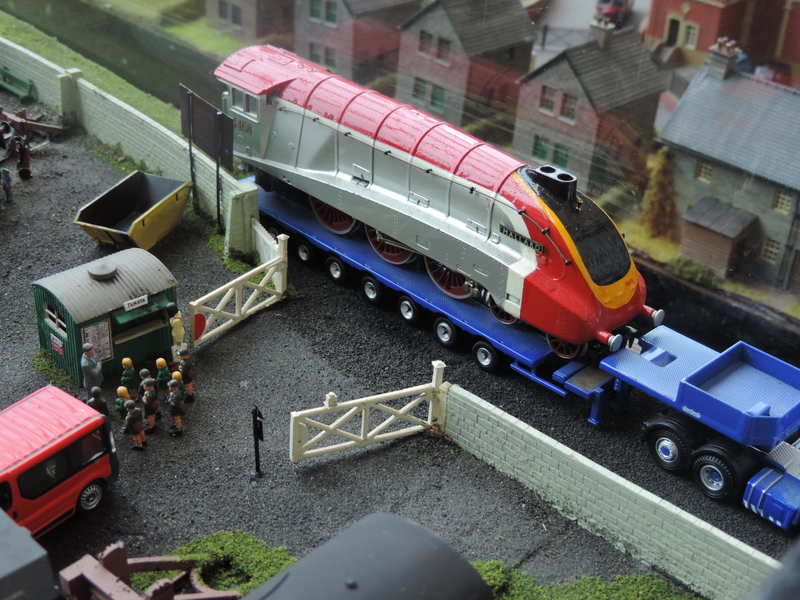 Thanks for reading, and hopefully you enjoyed my look at the Fareham RailEx show 2014, it was a great show and I recommend visiting it if you live on the South Coast. 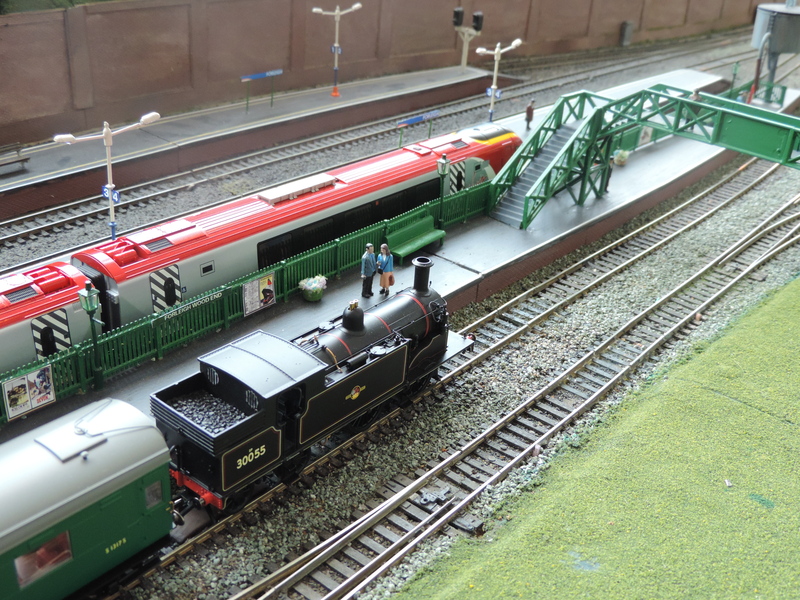 Really love both of these layouts, especially the modelled restoration project. What a great scene! 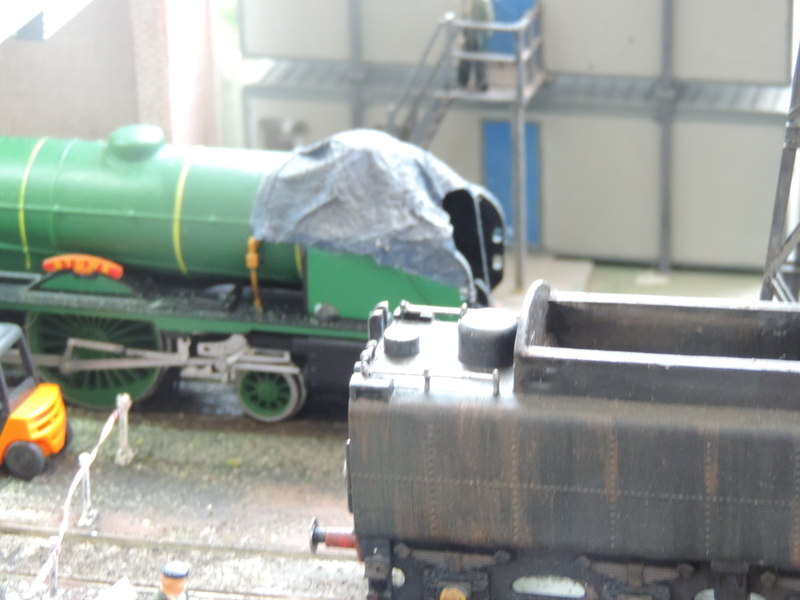 It was a great little scene, there were some great layouts at the show.